I am thoroughly convinced that today’s gorgeous wedding will take you to wedding dreamland. Why, you ask? For one, we have Chapter One Studios’ remarkable snaps ready to swoon your hearts away. Second, we also have a Veluz gown which doesn’t really need any introduction–the intricately-made dress speaks for itself! 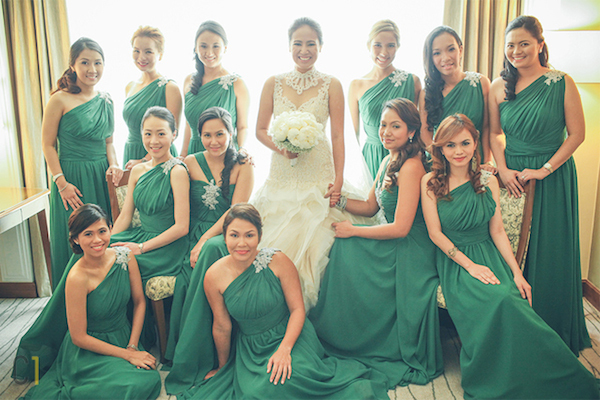 Third, the emerald green theme adorned with white whimsy is all kinds of dreamy. But probably the best detail of all? It would have to be Carlos and Rianne. After all, it’s really the couple that makes the entire wedding shine. See the full gallery here.